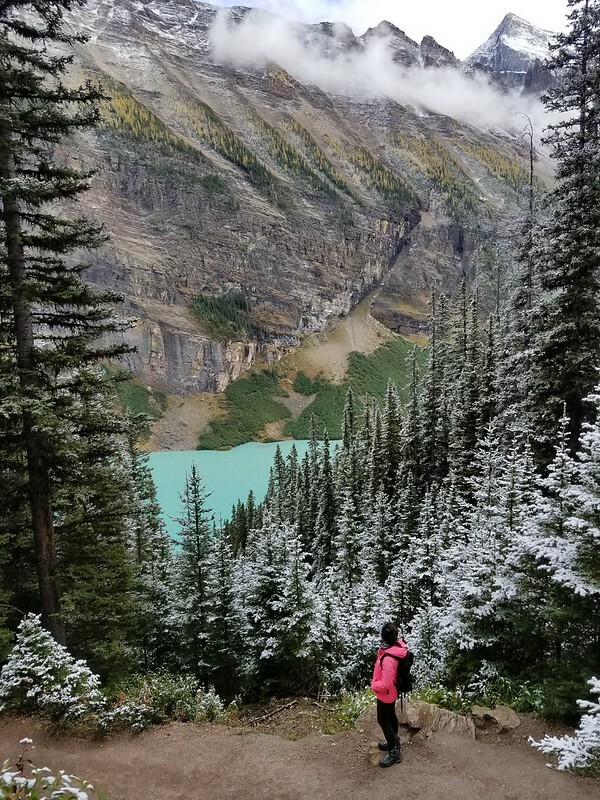 Banff Lakes: Louise, Agnes, Vermilion – life on macro. 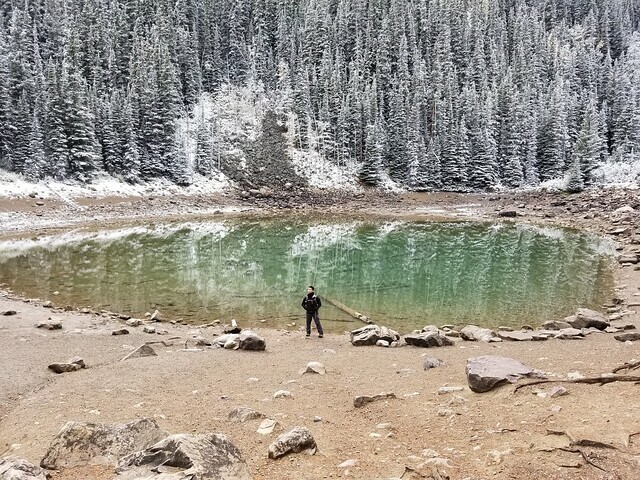 We started our hike from Lake Louise. 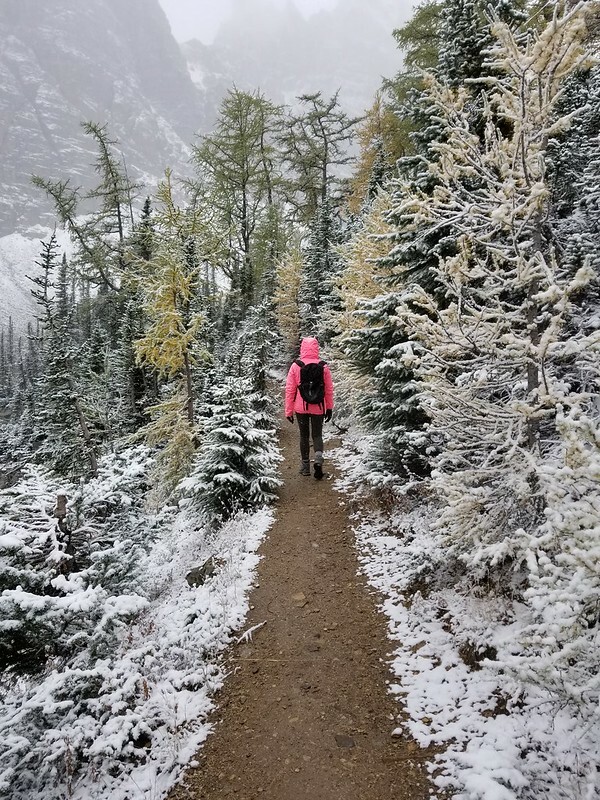 It started snowing in the middle of the hike and at one point, hailing! The snow made for interesting pictures though. 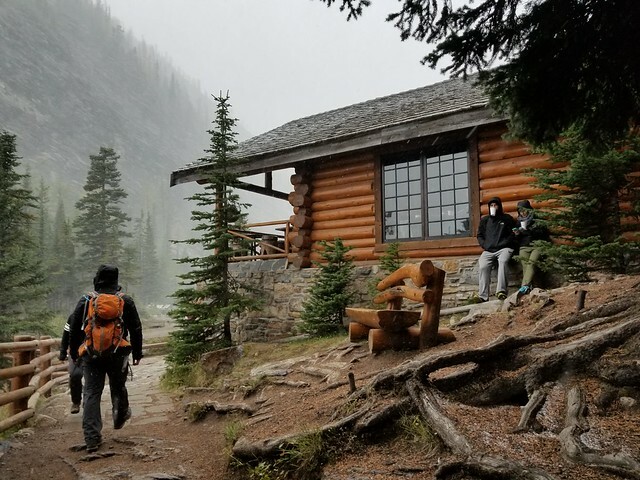 Went into Lake Agnes Tea House to sit out the hail – apparently everyone else had the same idea. 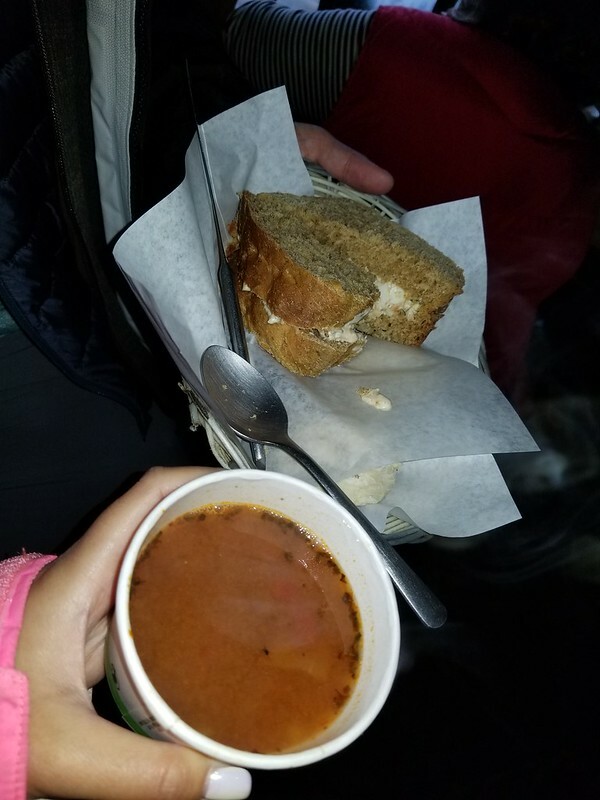 It was crowded, dark (no electricity), but we somehow got seats. Cash only! They take CAD and USD but will only give change back in CAD. 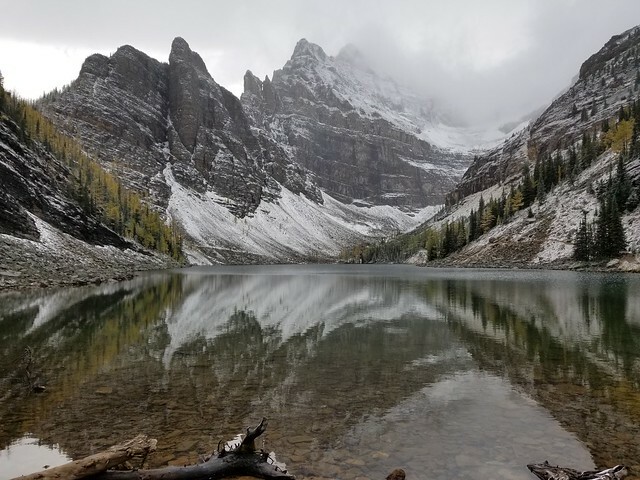 Lake Agnes after the storm. 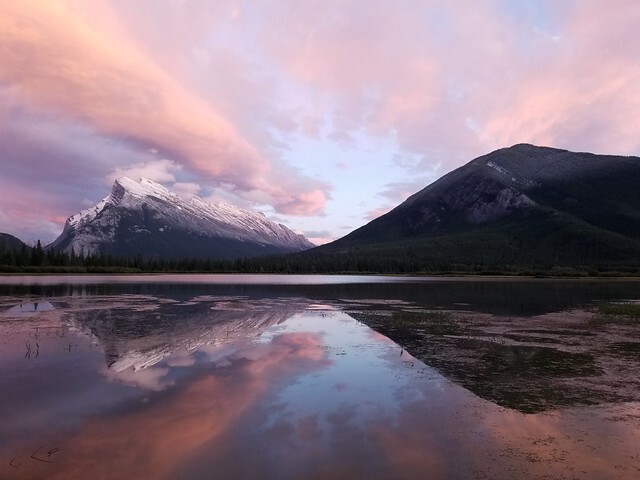 After the hike, we drove to Vermilion Lakes for sunset. 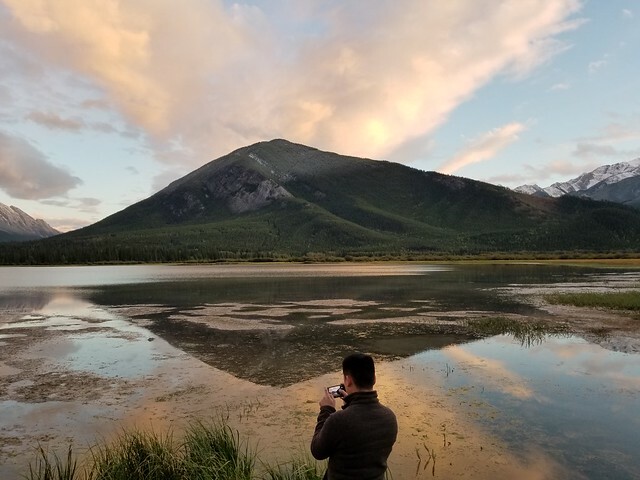 Vermilion Lakes are a series of 3 lakes – we drove from one to another to check out the best spot for photographing the sunset. Honestly, all 3 were spectacular. 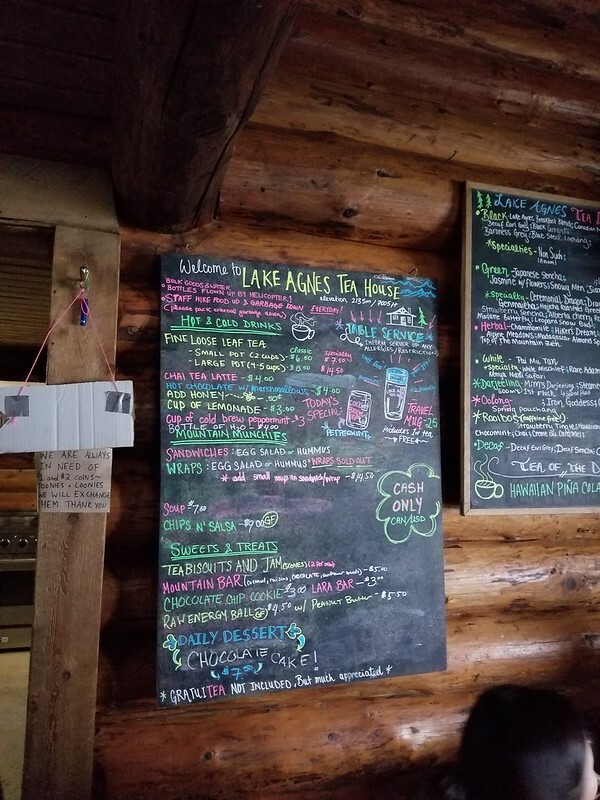 We decided on the last lake since we didn’t want to risk not being able to park and miss the short window. The colors shifted right in front of our eyes. One of the most stunning sunsets I’ve ever seen. Again, we camped out at Tunnel Mountain Village 1 Campground (highly recommended). Once again, absolutely stunning pictures. Such a visual treat!